What does a trucker eat in a day? There are immense responsibilities that come with driving a commercial truck. To start, truckers must be physically fit in order to operate a fully-loaded big-rig (which can weigh up to 80,000 pounds by law), man the odd hours, and load and unload their heavy cargo. Regardless, many truckers are not healthy enough, whether they have underlying medical conditions or are overweight. Yet they still get behind the wheel every single day. Top on the list from a recent article on anonhq.com is 54-year-old Conrad Tolby, a long-distance truck driver from Effingham, Illinois, who consumes a reported 5,400 calories a day. As you can see, there are lots of sugary drinks, candy, fried foods, and even caffeine and cigarettes to boot on Conrad’s daily menu. And his calorie intake greatly exceeds the recommended amount for a man of his age and size. It’s no surprise that an unhealthy diet leads to obesity. This leads to other serious medical issues, such as heart conditions, stroke and sleep disorders that cause drowsiness, like sleep apnea. But what many people don’t realize is that a poor health can be a factor in many truck accidents. 86% of the estimated 3.2 million truck drivers in the United States are overweight or obese (2007 study in The Journal of the American Dietetic Association). Heavy and tractor-trailer truck drivers accounted for 13% of all fatal occupational injuries (preliminary data from the Bureau of Labor Statistics). A majority of my professional practice as an attorney is devoted to trucking litigation, and I always have many truck drivers as clients. I also teach and speak to trucking companies on safety issues and what they should be doing so they don’t have to worry about hurting someone. Another thing many people don’t realize is that many truck accidents are caused by the passenger car, not by the truck. I will be the first to say that it’s extremely difficult for commercial truck drivers to maintain a healthy diet and exercise regimen. This is a big problem everywhere. It’s also likely a bigger problem in Michigan, where I primarily practice law, as we have one of the “fattest states” in the nation. Walk into any gas station or truck stop in Michigan or around the nation and you’ll find pre-packaged, processed foods full of empty calories: sodium, sugar and various preservatives that are tough to pronounce, let alone digest. And if a trucker opts for warm food, he could heat something frozen in the microwave, or grab a bite at any of the ubiquitous fast food options out there. In addition, exercise facilities are nowhere to be found, leaving truckers with little options for cardiovascular activity and lots of sitting. So what can we do to prevent these wrecks with poor health as the cause? We must start with educating truck drivers on healthy lifestyle choices, as well as providing healthier food and exercise options for them while they’re on the road. Currently, there are none. Trucking companies must be held responsible for hiring fit drivers with no serious medical conditions, and ensuring their truckers have the resources available to keep themselves healthy enough to operate these massive fleets. As a truck accident attorney, I understand there are many good truckers who take their jobs seriously and want to follow the laws and do the right thing. As I said above, many are my clients. But I also see the other side of things, when drivers go to certain medical examiners who they know will give them a clean bill of health, even if they aren’t healthy enough to drive or suffer from serious medical conditions that would disable them from driving a truck. Many drivers on our roads today are too sick to drive. For instance, in one of my cases, a truck driver with epilepsy and who was on medication that causes drowsiness was responsible for the death of a young father. 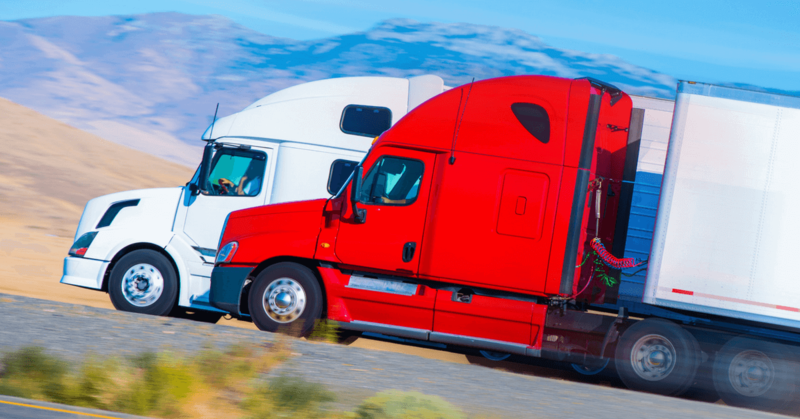 Starting with these common-sense building block steps will surely improve truckers’ lives and well being, and will help to stop the causal connection that poor health plays in preventable truck accidents. Hopefully next time when his picture is taken, Conrad’s plate will be full of fruits and vegetables, whole grains and water. Sorry to pick on you, Conrad. Best of health to you.